Partnering with Italian controls specialist, Xenta Systems and Tulsa, US-based controls and display pioneer, Murphy by Enovation, Cox Powertrain has paired the most sophisticated joystick control and display technology with the company’s new and revolutionary 300hp diesel outboard, to deliver a highly intuitive and superior performance. 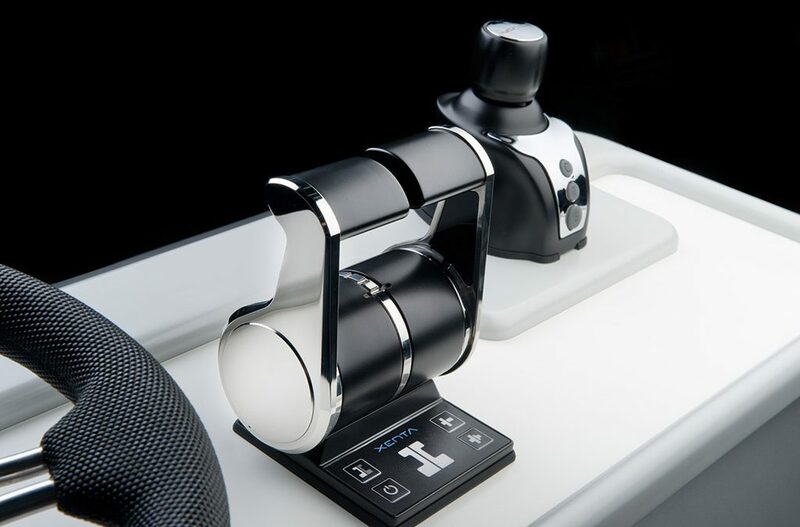 Italian controls specialist, Xenta Systems is the first company to develop and patent the intuitive joystick control system. Working closely with retrofit and OEM production markets to offer a fully integrated engine control package, Xenta has developed in a highly intuitive control system, the Xenta Smart Stick, that can intuitively control a boat using the engines, transmissions and bow thruster to provide seamless manoeuvrability in close quarters. Murphy by Enovation Controls’ latest display technology, the new PowerView®1200 display screen has been chosen for its superior design and great looks to provide outstanding clarity on its easy-to-read operator interfaces. The PowerView®1200, launched in the USA last year, offers full-featured engine diagnostics on a configurable display screen. As Murphy’s largest engine display system, the PowerView®1200 was chosen for its power, large memory and excellent connectivity. The 12.3-inch, glare-free LED screen, can be viewed in full sunlight and the display is fully bonded helping it withstand all environments.